The duo will work under incoming head coach Wayne Pivac, who will replace Warren Gatland post the showpiece event. 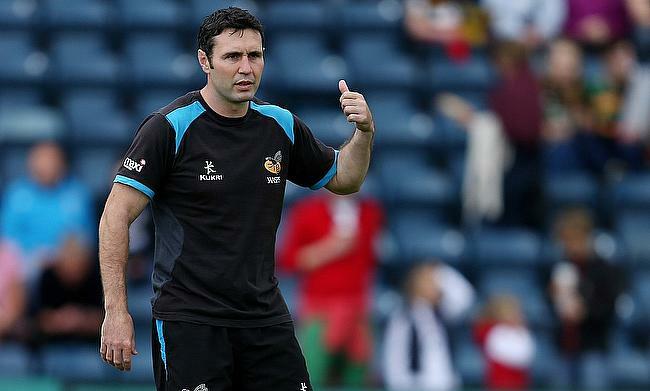 Jones, who is second most highest point scorer for Wales behind Neil Jenkins and sixth in the history of the game worked as an attack coach of London Wasps in 2013 and is currently part of Pivac's backroom staff with Scarlets. He has also featured in 110 Tests with six of it coming for British and Irish Lions and has amassed 970 points and has experience of playing for Llanelli Scarlets, Clermont, Scarlets and Wasps. "I'm hugely excited with the opportunity," said Jones. "It is a great honour to be asked to coach your country and I'm really looking forward to the challenge and very much looking forward to working with Jon, Neil and Paul for what I hope will be a very exciting period in Welsh rugby." Meanwhile, Humphreys, who has played for Wales 35 times has worked with Ospreys and Scotland as forwards coach before joining Glasgow Warriors in 2017. "It's a huge honour to return to Wales during what is a really exciting time for Welsh rugby," Humphreys said. "The opportunity to come back and coach my country with Wayne and Stephen is one that I couldn't turn down. "I'm indebted to Scottish Rugby. I'd like to thank Mark Dodson, Scott Johnson and Vern Cotter for giving me the opportunity to be involved in their vision six years ago." Pivac is delighted with the inclusion of Jones and Humphreys and is confident that their experience will bring a lot of value to the side. "We are bringing in two hugely experienced, quality Welsh coaches to our set-up in Stephen and Jonathan and have secured the services of both Neil and Paul which is vitally important," said Pivac. "The Welsh Rugby Union has been forward thinking with their planning and recruitment for post RWC 2019 and this has allowed me to bring in and secure the coaches we wanted. "Stephen and Jonathan are hugely respected not only for what they did on the field as players but in their careers as coaches and I'm delighted to have them as part of our team. "They will bring a huge amount of experience, excitement and passion to their roles." Present skills coach Neil Jenkins and head of physical performance Paul Stridgeon will retain their roles under Pivac as well.